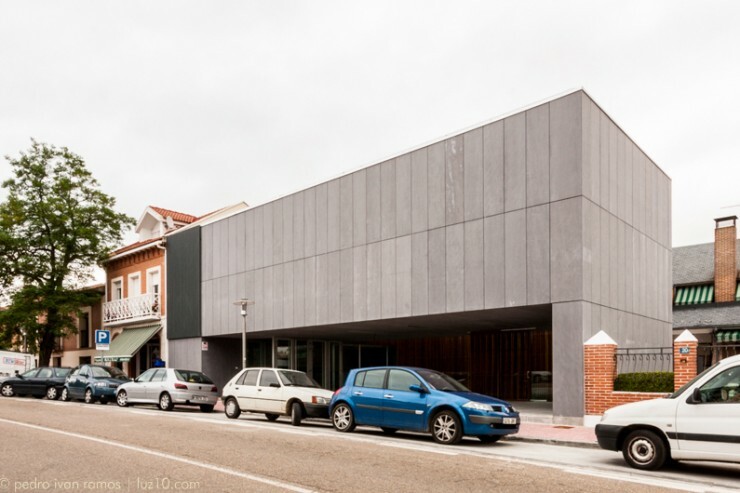 The digital magazine of contemporary culture Nex Valladolid reviews this week the Municipal Civic Centre in Boecillo, through its collaborator Pedro Iván Ramos, architect, photographer and blogger, at the time photographer of the building. A global perspective on a local territory. Nex Valladolid is a digital magazine of contemporary culture conceived as an open window to individual or collective projects which, from the area of ​​creation, entrepreneurship and social enterprise, marks the vital pulse of Valladolid. In a context as the current crisis, proactive attitude becomes more valuable from those who deal, apart from the economic and social deterioration, with the present and the future of their immediate surroundings. Valladolid is the scene of many examples that give a unique dynamism to the city and the province. Nex Valladolid aims to become a catalyst medium of this positive tendency through a transversal and contemporary look. Nex Valladolid is born under the leadership of a group of friends who combine extensive experience in the field of communication and management. The project is conceived opened to a permanent sum of complicity.